‚Ghana is free forever‘- these were the words of Kwame Nkrumah, the first elected president of the former Gold Coast, on the 6th of March 1957 when Ghana became the first African country to gain independence from colonial rule. 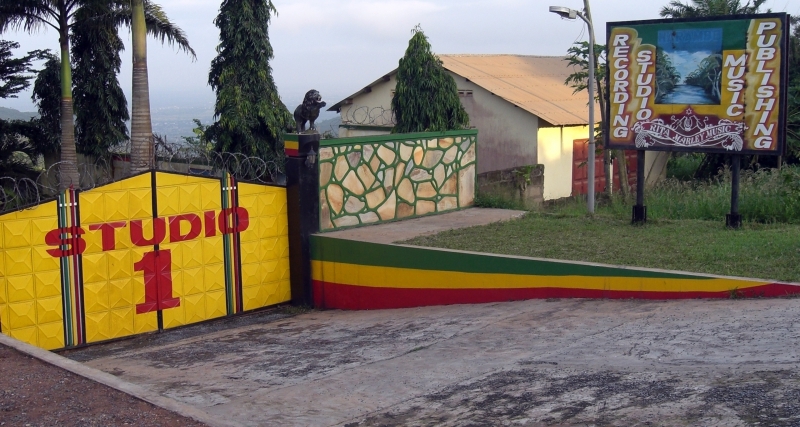 Today, more than fifty years later, Ghana is known to be one of the most peaceful and stable countries in Africa (currently host to the 2008 Africa Cup of Nations) and attracting thousands of tourists each year, especially African-Americans coming for inspirational trips to trace their roots and visit the former slave forts scattered along the coast. 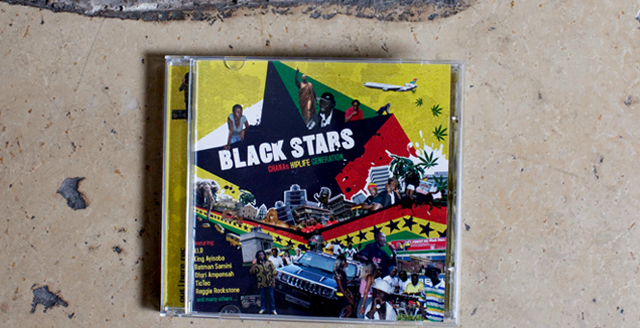 Nkrumah himself was inspired by the ideas of the Jamaican black activist Marcus Garvey, who founded the Black Star Line, a shipping company to bring African-Americans back to Africa. 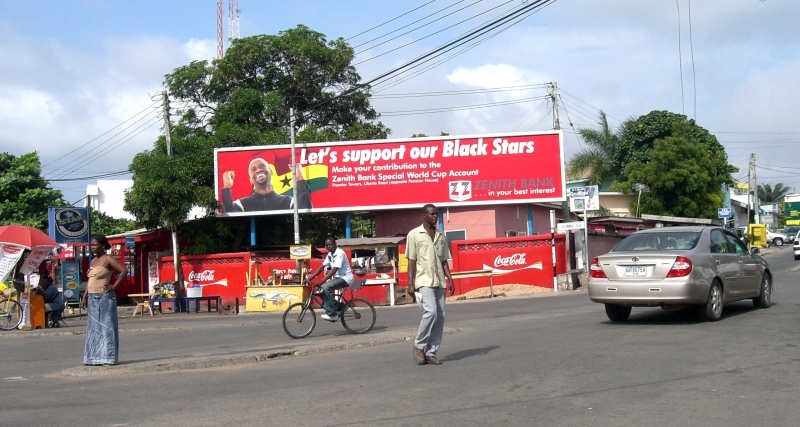 The black star in Ghana’s national flag is a lasting reference to Garvey. 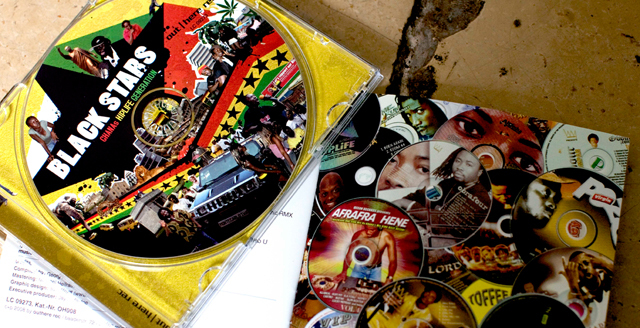 However, in 2008 Ghana’s youth is no longer dancing to Highlife that was popular back then, but to Hiplife, the local mix of Hip-Hop, Highlife, Reggae and Dancehall. 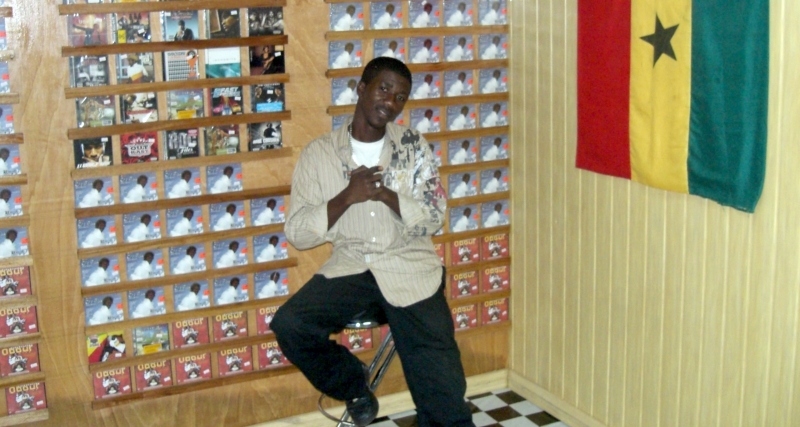 Hiplife gained prominence about 10 years ago with Reggie Rockstone, who is known as the ‚Godfather of Hiplife‘ and was the first to rap in Twi, the most common language in Ghana. 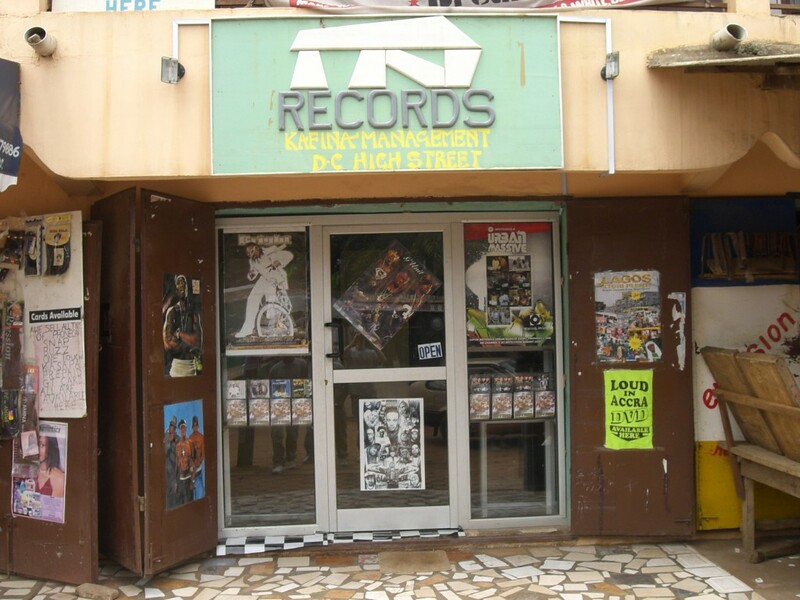 Hiplife is everywhere in Ghana now; it has developed into one of the most popular music styles in the country and has broadened into several sub-genres. 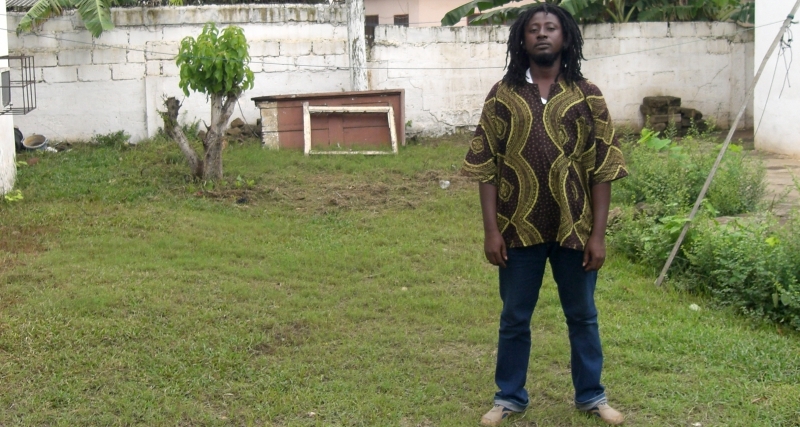 Tic Tac is a true hiplife veteran and one of Ghana’s most popular artists. 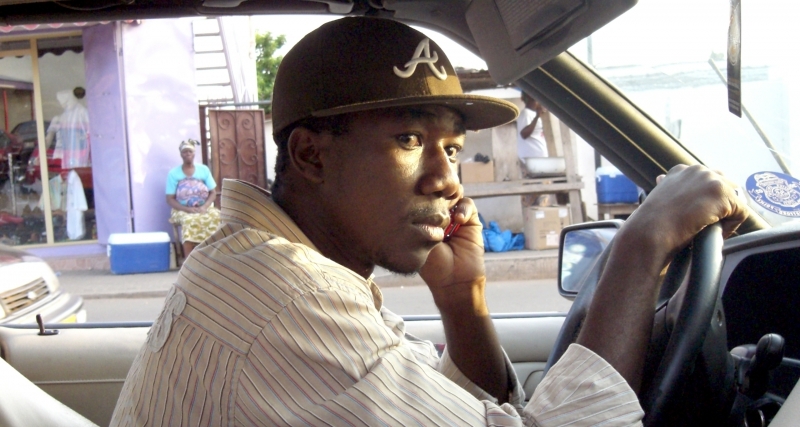 The success of his song ‚Kangaroo‘ also made him a pan-African popstar, as the video to the song made it to the top in MTV Base Africa’s charts (MTV Base Africa can be seen throughout sub-Saharan Africa.). 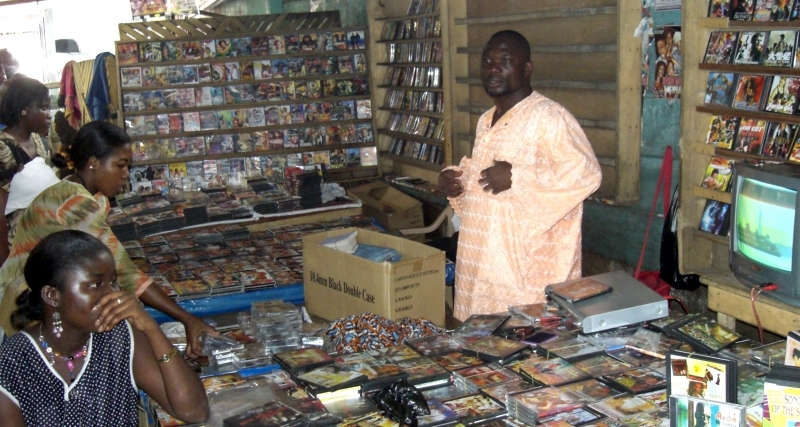 ‚Kangaroo‘ features Nigerian superstar D’banj as well as Batman Samini (also known as the ‚King of African Dancehall‘). 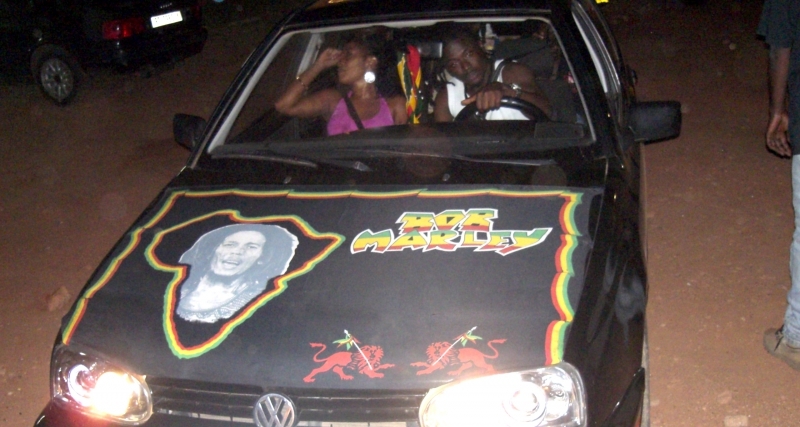 In 2007, Batman Samini was nominated for an MTV European Music Award in the category Best African Act. 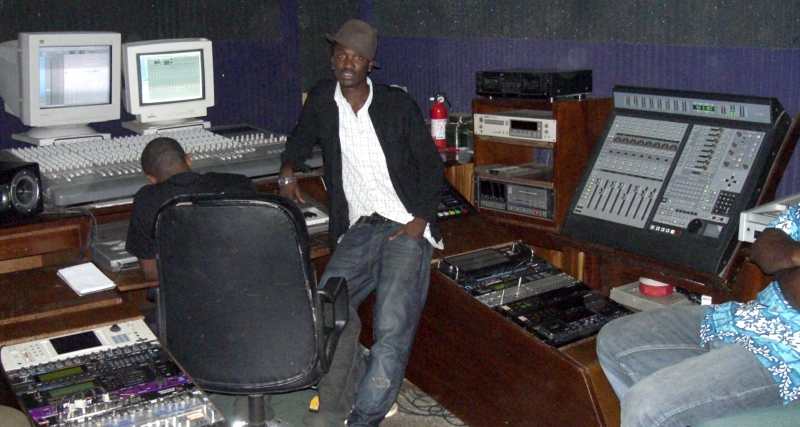 His mix of Hiplife and Ragga is known as Raglife, a style that was pioneered by Terry Bonchaka. 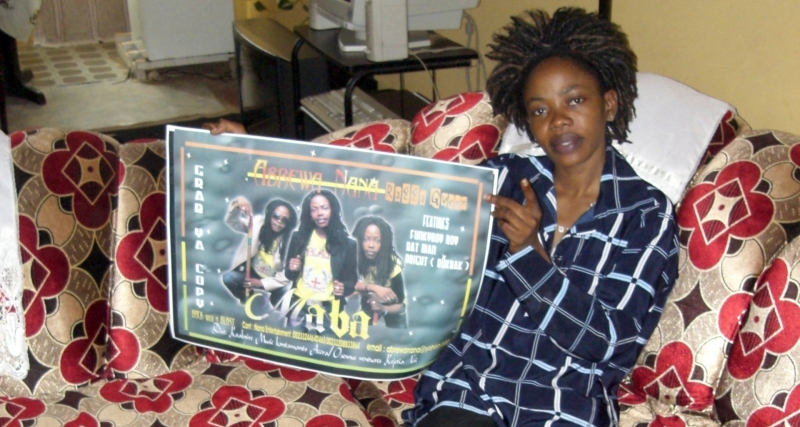 One of the most well-known Hiplife crews is V.I.P. 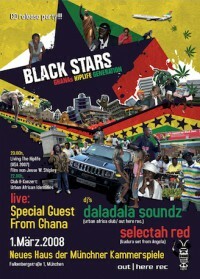 who originate from Nima, Accra’s largest ghetto. 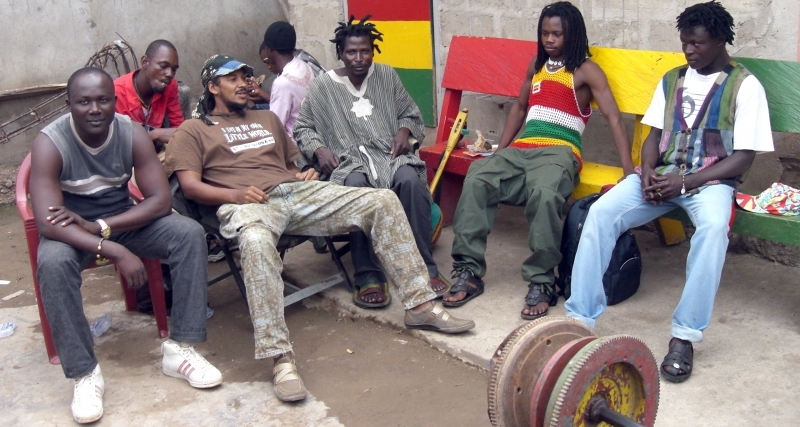 Their song ‚Ahomka Wo Mu‘, featured on the CD, has become one of the most popular Hiplife tunes throughout West Africa. 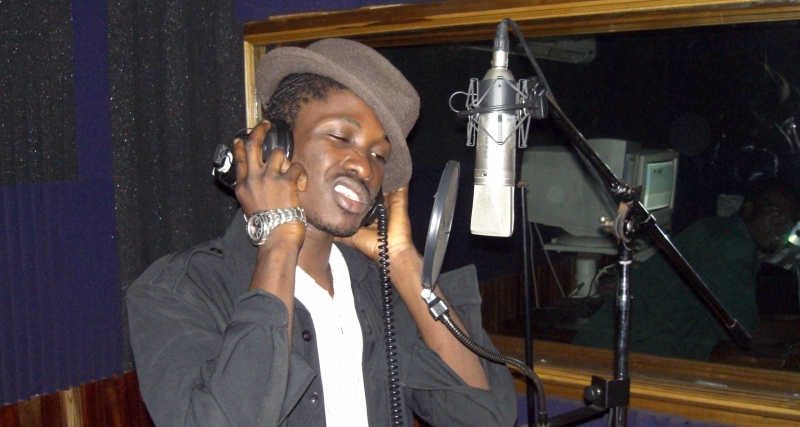 Whereas most Hiplife artists in Ghana rap in Twi, the trademark of Tinny are his lyrics in Ga, a language spoken in the region around Accra. 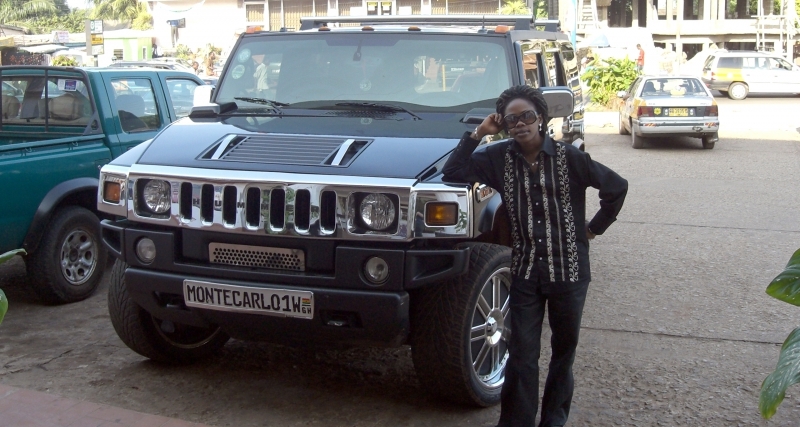 One of Ghana’s biggest-selling artists at present is Ofori Amponsah whose high-pitched voice can be heard coming out of every club in Ghana. 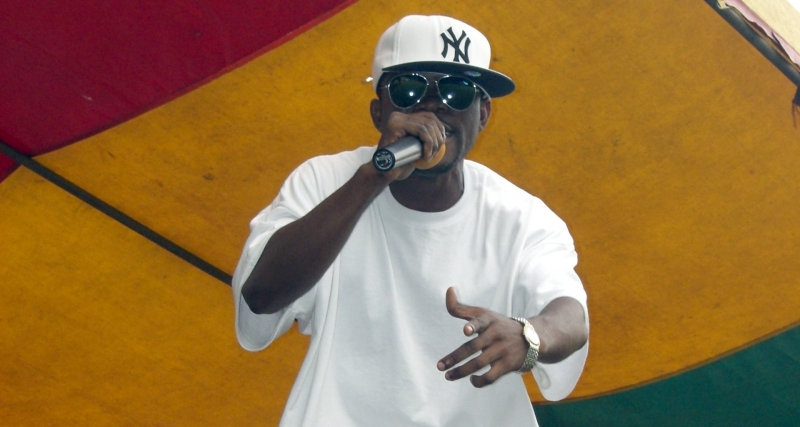 His style is often described as Modern Highlife since he rarely features rappers on his tracks. 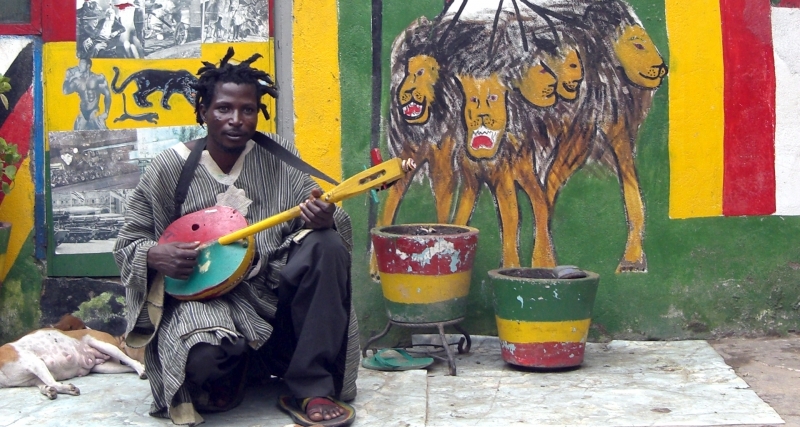 The latest sensation is King Ayisoba who has won over Ghanaian audiences with his two-stringed Kolgo (an ancestor of the guitar) and his hilarious broken English, while one of the hidden gems in Ghana’s music scene is Sheriff Ghale who is known for his conscious Roots Reggae in the style of Peter Tosh or Bob Marley. 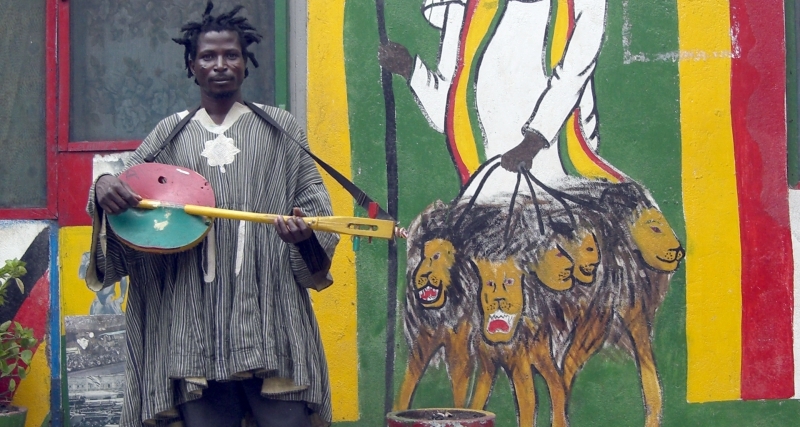 The Diaspora in London is represented in the shape of Afroganic, an ambitious project by producer Kwame Acheampongwho has created a 100% acoustic African club sound. 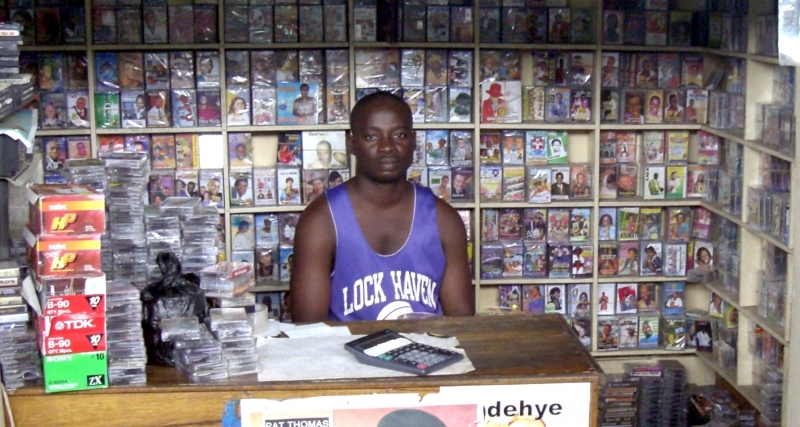 Ghana’s underground Hip-Hop heads QDL and Kwaku-T also have close ties to the international music scene as both of them spent a lot of time abroad. 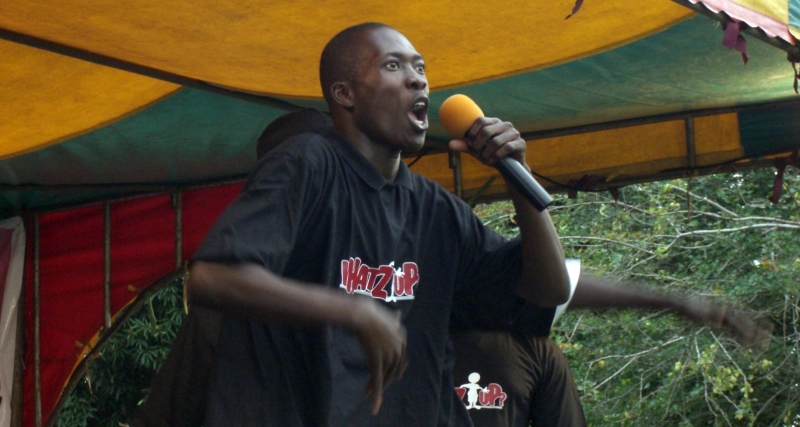 Kwaku-T had his biggest success with the song ‚Toto Mechanic‘ (‚toto‘ is the Ga word for the female genitalia and Kwaku T is Ghana’s self-proclaimed master technician). 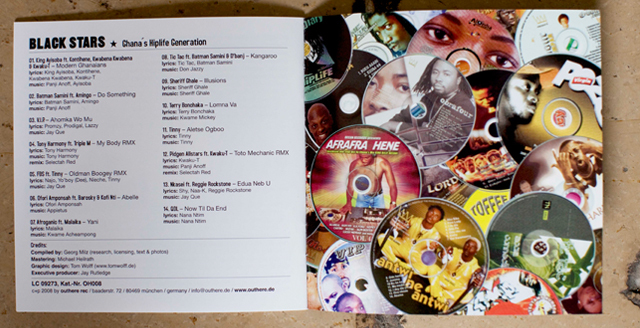 Of course, Hiplife’s founding father Reggie Rockstone is also featured on the CD. 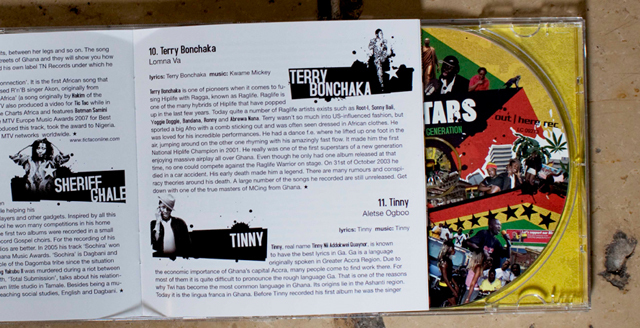 ‚Black Stars – Ghana’s Hiplife Generation‘ showcases this vibrant music scene and unique Ghanaian sound, with thedetailed liner notes putting the music in context. 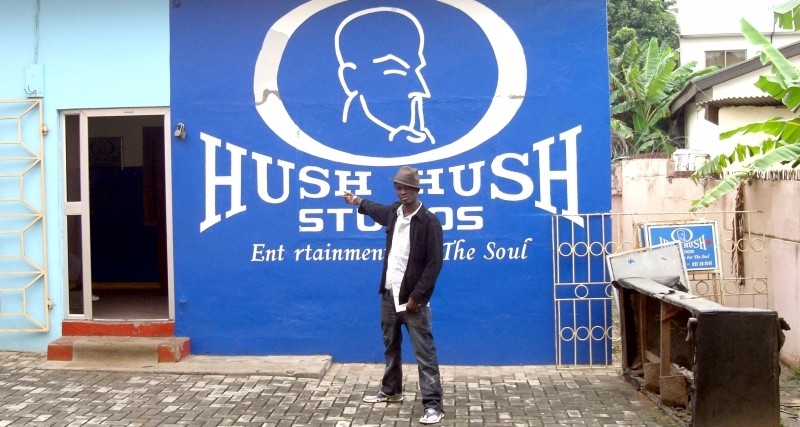 International recognition of Hiplife is long overdue. 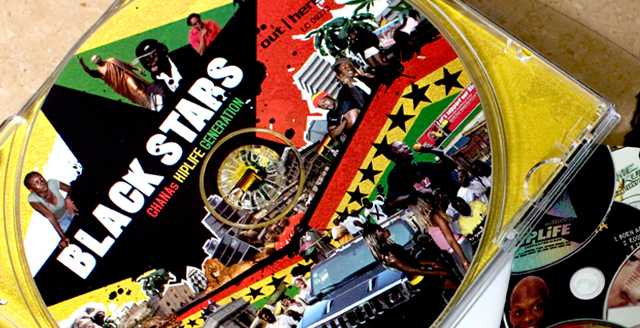 Black Stars - Ghana's Hiplife Generation by V.A.